Many chemicals act on various parts of the cardiovascular system to increase heart rate. When consumed, these chemicals often lead to similar responses to increase heart rate. One of the main hormones that increases heart rate is epinephrine (adrenaline), which acts on the body's cells to cause a cascade of signaling events. The adrenaline rush, as it is often called, feels like a renewed sense of energy. The mind is alerted, and even a tired and sleepy person finds strength when adrenaline is pumping through the system. The human body produces hormones that have various actions depending on where they bind in the body. When epinephrine (commonly called adrenaline) binds specific receptors in the body, it causes a signaling pathway that results in many reactions. One of these is an increased heart rate. The main biochemical reaction is when the hormone binds a receptor called the beta-1 adrenergic receptor, resulting in a cyclic AMP second messenger signaling pathway. When a reaction occurs in the body, this can cause another chemical to be released. When that chemical acts upon its partner, another reaction occurs. This process is termed a signaling pathway. In this particular pathway, the chemical epinephrine's partner is medically termed the beta-1 adrenergic receptor. Once this reaction takes place, it causes cyclic AMP, another chemical important in signaling, to be released. When the entire set of reactions take place, the heart's rate is increased. 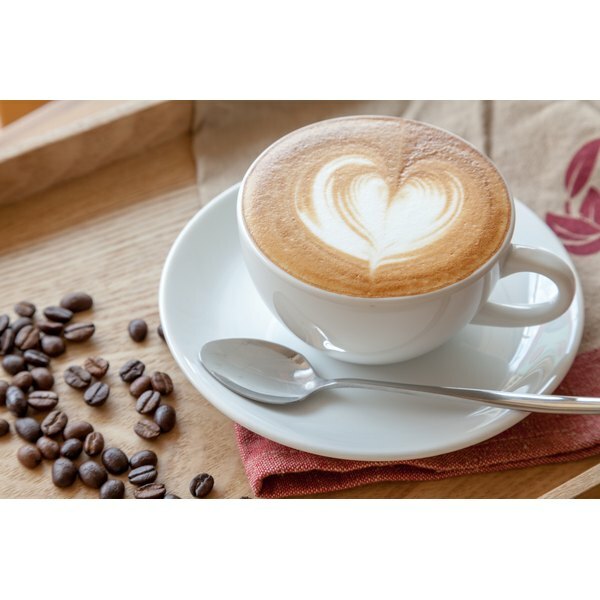 Caffeine is a commonly consumed chemical found in soda, chocolate and coffee. Many people consume drinks with caffeine to "stay awake." One of the medical reasons behind this thought is that caffeine creates a chemical signaling pathway inside the body, resulting in increased heart rate. Its biochemical effect mimics that of adrenaline (epinephrine). Additional effects caused by caffeine are increased blood pressure and stomach acid as well as release of fatty acids into the bloodstream. The noteworthy item about caffeine is that the body becomes immune to its effects such that a new user experiences the aforementioned reactions while a perpetual user feels no effect. Nicotine, most commonly found in cigarettes, is a chemical that produces various effects. Similarly to the other chemicals discussed, nicotine acts on the brain to stimulate the release of epinephrine, in additional to other hormones. However, nicotine also stimulates the release of an antagonist called norepinephrine, which could decrease heart rate. Thus, the effect of nicotine is dependent on the amount consumed, the person and other factors. Another chemical that increases heart rate is the illegal drug cocaine, which can cause effects that can further escalate to a cardiovascular event and sometimes lead to immediate death, according to the National Institute on Drug Abuse. Additionally, marijuana can cause the heart to beat more rapidly, the bronchial passages to relax enlarge and blood vessels in the eyes to expand, creating "bloodshot" eyes. These effects cause "the high" described by users, characterized by pleasing sensations, intense colors and skewed time perception. Mamta Patel trains astronauts and works in Mission Control at NASA. She has a Ph.D. in biomedical engineering. Her scientific work has been published in journals such as the "American Journal of Physiology" and her informative articles have been published on various websites. Patel is an avid reader and freelance writer and shares her thoughts in her blog called Beyond the Curls.